The Texas HighSteppers…more than just a Dance Team. During the summer of 1978, approximately ninety sophomores and juniors performed a try-out routine for five judges to be part of the first drill team established at Texas High School. Fifty-three members were selected. Miss Denise Karpelenia, Sponsor, called her team “The HighSteppers” and the rewards were many during that first year. Mrs. Jeanie Nutter became the new drill team instructor in 1988 and remained the sponsor for eight years. In 1996, she turned her duties over to Mrs. Gigi Still who served as sponsor of the team until 2013 when Still then turned the reins over to Mrs. Kristi Robinson. 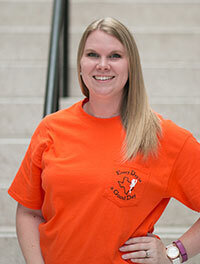 In 2015, Mrs. Amber Reynolds became the director and has enjoyed taking the HighSteppers to a new level of success. A graduate of Texas State University - San Marcos, Mrs. Reynolds has had the opportunity to perform at the Macy’s Thanksgiving Day Parade in NYC, on board Carnival & Royal Caribbean cruise ships and at a San Antonio Spurs halftime. Mrs. Reynolds teaches the team that through teamwork, dedication, setting goals and determination, excellence will be possible. Her mission is to not only teach the team dances, but also how to grow their confidence and become poised young ladies. 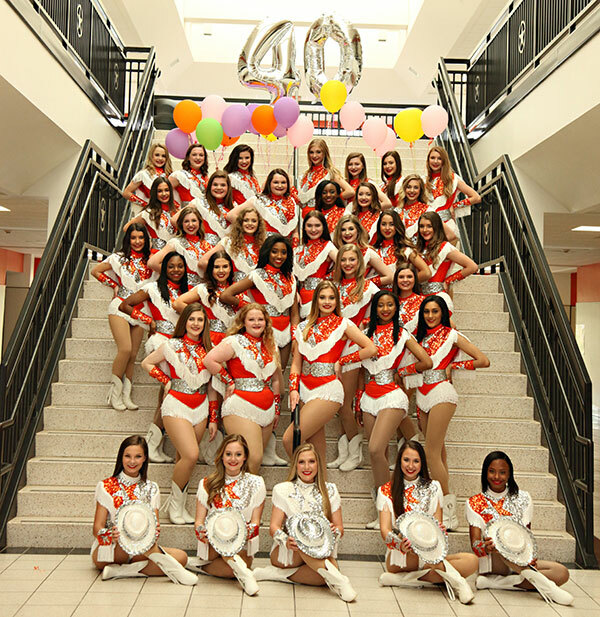 The Texas HighSteppers continue the 40 year tradition of success earning consecutive Super Sweepstakes titles and Division I ratings for dance. In recent years, they have received the coveted Gussie Nell Davis Award, the Applause Precision Award for all team routines, the Curtain Call Academic Achievement Award given to the team with the highest GPA, Grand Champion in their division, Ring of Champions, Winners Circle, and the 2018 Danceline USA Large Team National Champion as well as the Danceline USA National Gold Award. Though the team of 35 dancers dedicate many hours to practicing their routines, the young ladies are also involved in several other school organizations. There are multiple members of the drill team who are also members of National Honor Society, Mu Alpha Theta Mathematics Honor Society, Student Council, Rosebud Junior Garden Club, Tiger Vision, Quill and Scroll International Honorary Society for High School Journalism, Key Club, Leadership and the Tiger Yearbook and Newspaper staff. From their participation in so many extracurricular clubs, it is evident that the Texas HighSteppers ARE MORE than just a dance team.